*Alli’s quote was my “aha” moment! That’s exactly what I’d been thinking! I wasn’t diligent enough to make it a constant force! and what God had shown me in His word. so, I just shut down. or dig deep and greatly share what God reveals!! There is so much hope in the truth of God’s Word. My first way of defeating the enemy and banishing false scripts is remembering who I am! I find my identity in the covenant that I have with God through Christ. Starting with Ephesians usually satisfies my soul. a couple of men that walked with Jesus, and were still perceived as unlearned. YET, they continued to spread the gospel and perform miracles in Jesus’ name. That was the largest movement of the church EVER! It was all because of WHO they knew and the intimate relationship and friendship they shared! I’ve been so very blessed to start reading Alli Worthington’s newly released book, BREAKING BUSY! you know, like, renewing my mind! For me, Breaking Busy isn’t about running out and purchasing a day planner or de-cluttering my desk. trust Him to light every day! all over the place, but those are just things that consume my time, not my thoughts. I want to hear your feed back! What makes you stop doing what you KNOW God is prompting you to do because of fear? 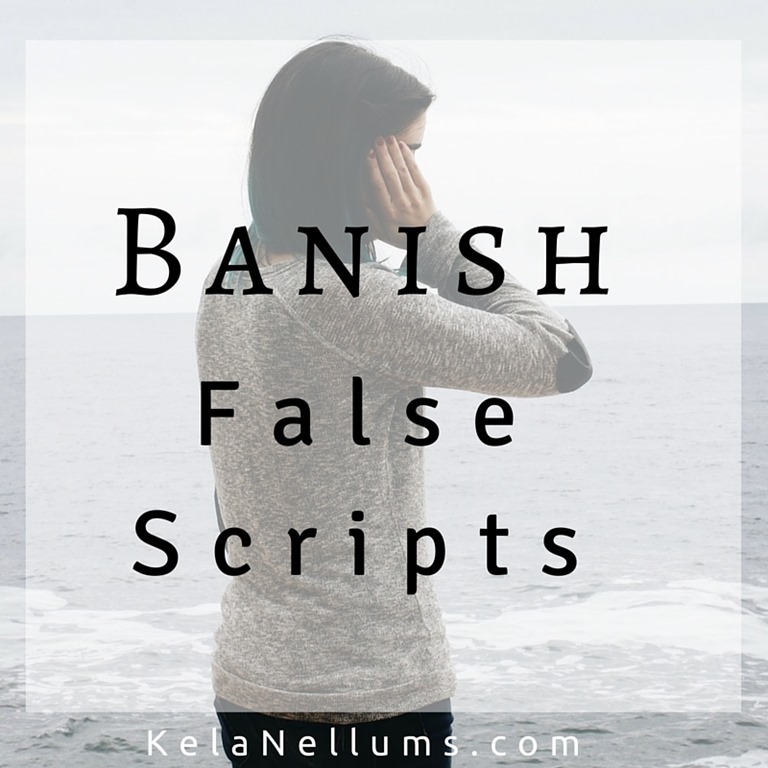 How do you plan to banish false scripts? Do you have Scripture as a ready defense against the lies? *I received a complementary copy of Breaking Busy by Alli Worthington because I am on the book launch team. There was no monetary compensation for my thoughts or opinions of this book.